Despite a lack of independent safety testing, the government has seen fit to declare there will be no oversight of a genetically engineered grass. Is this the beginning of a GE avalanche? Just before the July 4th weekend, the USDA released a statement saying that the agency has no authority to regulate genetically engineered (GE) Kentucky bluegrass. This leaves Kentucky bluegrass completely unregulated—and sets the precedent for a complete lack of oversight of GE crops in the future. This is extremely worrying: there are very few independent studies investigating the safety of genetically modified organisms (GMOs), and the ones that have been published show that GMOs can have very dangerous long term effects. Oversight of GE crops is extremely lax, because there is no federal law specific to their regulation. The USDA only has two provisions that apply to GMOs—the regulation of plant pests, and the noxious weed provision. The Plant Pest Act—a law established in the 1950s—gives the USDA power to restrict the introduction of organisms that might harm plants. In a bit of a stretch, the USDA has used this power to regulate GE crops. The reasoning is that GE crops qualify as “plant pests” because historically the DNA from natural plant pathogens/microbial material (bacteria, fungi, etc.) was used in the genetic engineering of various plants. However, this is increasingly no longer the case. 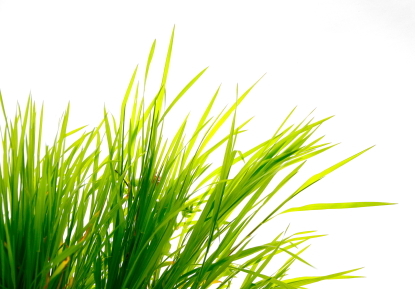 Kentucky bluegrass, for example, doesn’t use the DNA from plant pests at all. Accordingly, the makers of Kentucky Bluegrass, Scotts Miracle-Gro, claims the USDA has no authority over them since “Kentucky bluegrass itself is not a plant pest, and no plant pest components will be involved in the transformation.” And on July 1, the USDA agreed, sending the Scotts Miracle-Gro Company official confirmation on Kentucky bluegrass’s regulatory status. In 2000 the Plant Pest Act was expanded to allow the USDA to also regulate noxious weeds, and became the Plant Protection Act. This is significant, because we believe this provision gives USDA the authority to regulate GE Kentucky bluegrass: any engineered crop that threatens to go rogue in the field and become a hard-to-control weed may be regulated. In this case, pollen is light enough to be carried for miles in the wind, causing gene transfer with non-GE crops; and bluegrass spread rapidly. However, even though the USDA admitted that GE bluegrass could be considered a noxious weed, the agency declared it still would not “cause impact significant enough to warrant regulation at the federal level”—a position we find both absurd and unconscionable. 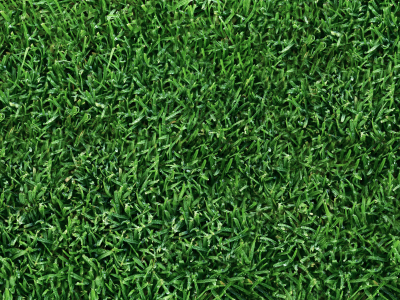 Kentucky bluegrass is widely grown, and is used in parks and home lawns. This means the genetically engineered variety will have wide exposure indeed. This decision paves the way for any number of GE crops in the future to avoid USDA regulation altogether. If it is determined that a GMO is out of the USDA’s jurisdiction, the courts cannot demand that the USDA conduct full environmental impact studies under the authority of the EPA. This means other safety nets will disappear as well. Our biggest concern, however, is the potential impact on our health. Since the USDA jurisdiction covers only plant pests and noxious weeds, there are very few studies of actual long-term human health affects of GMOs. In fact, most safety studies on genetically engineered products have been conducted by GE companies themselves! Furthermore, it is difficult to get the actual raw data for independent testing because GE companies usually keep data proprietary and seriously block independent studies. A documentary series of nine films on GMO by German filmmaker Bertram Verhaag reveals the undemocratic, global conspiracy to push GE interests over those of the consumer. When he learned that only 5% of scientists working in the area of GE are truly independent, Verhaag started work on his most recent film, Scientists Under Attack. It documents two scientists conducting independent research about GE against pressure from industry, the government, and the scientific community. However, what we do know about the health effects of genetically engineered crops is frightening. In a letter to USDA Secretary Tom Vilsack, retired Purdue University professor Dr. Don Huber wrote that a newly discovered and widespread pathogen is damaging the health of plants, animals, and possibly human beings. Glyphosate (the active ingredient in in Roundup, the herbicide many crops are engineered to be resistant to) may be weakening its plant and animal hosts making it susceptible to this pathogen, which is similar to the way HIV works. The pathogen has been found in high concentrations of the Roundup Ready soybean meal and corn used in livestock feed. Lab tests confirmed presence in the organism of pigs, cattle, and other livestock that have experienced spontaneous abortions and infertility. Plants containing the pathogen are stricken with disease. With the help of Greenpeace, biologists from two French universities obtained a court order to force Monsanto to hand over its findings from animal studies they had used in its assessment that three varieties of GE corn were safe. After analyzing Monsanto’s data themselves, they discovered “statistically significant” evidence that the crops could poison the liver and kidney (the body’s main detoxifying organs). They also found pesticide residues in GE crops and animal feeds that were high above safe levels—which could affect the endocrine system. Even worse, they found that that Monsanto’s tests were purposely designed to obscure the results. The test involved only 80 rats and 320 control rats, instead of equal numbers of both. And the longest study was just 90 days long—which isn’t enough to show long-term effects. The results were published in the International Journal of Biological Sciences. NaturalNews.com has called for a boycott of the Scotts Miracle-Gro Company and all its products. If you wish to participate, please visit the Natural News boycott page to learn more.